Phil Collins | Gear Acquisition Syndrome!! In the big hair days of L.A. in the eighties, I was sporting said ‘big look’ and fronting my band at the time, “Reason Y”, and livin’ the dream. 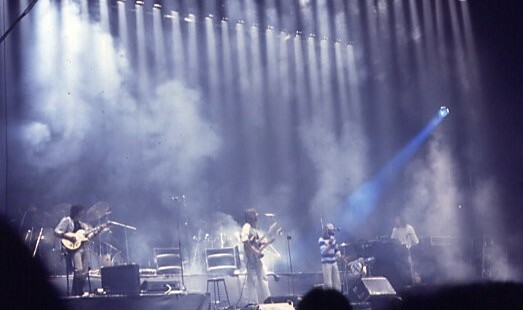 The keyboardist, Kenny, and I wrote the tunes, and we were influenced by many various groups, but one that we dug quite high above most was Genesis. “Trick of the Tail” was especially a favorite, and I recall quite a few songs that we worked on that had that certain prog-rock, British tinge to ’em. 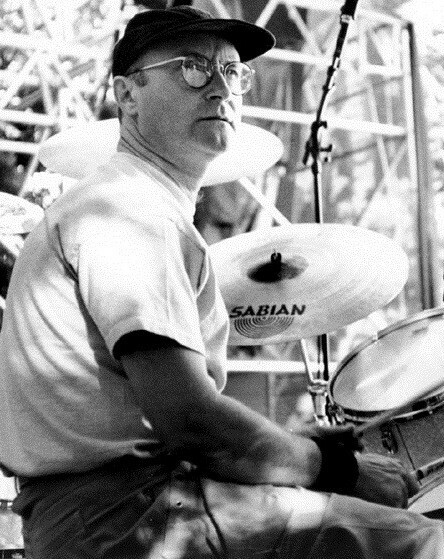 I wasn’t so aware of it at the time, since I hadn’t taken up drumming yet, but now that I look back on it clearly one of the reasons we were so drawn in by that band was its drummer – Phil Collins. The finesse, artistry and command of morphing grooves and time signatures was so tightly woven by his deft hands, it’s hard to imagine the group being at all the same without him. 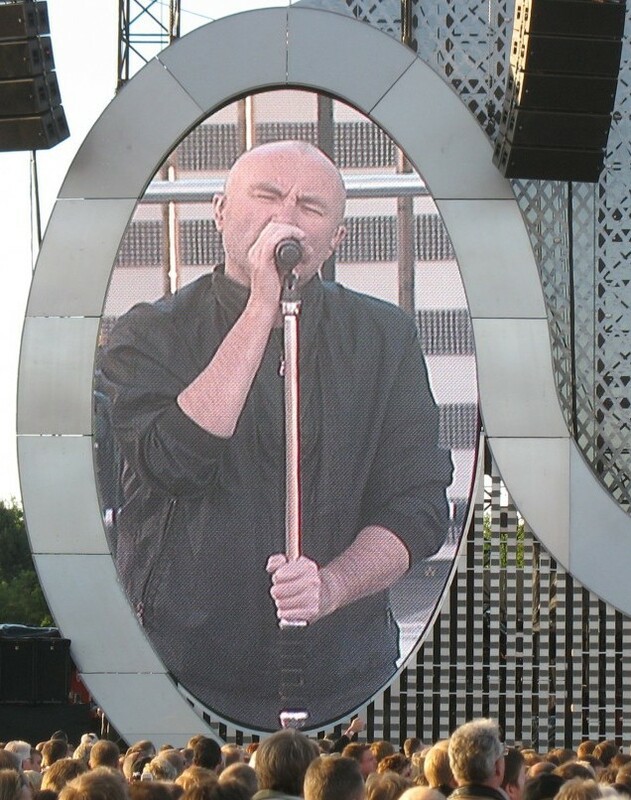 Cut to this past year, 2017, when after decades of successful work in Genesis and as a solo artist, Phil released his autobiography, “Not Dead Yet”. I recognized the not-too-sublte nudge-nudge, wink-wink to Monty Python immediately, and knew I had to have that book. And thanks to my family’s giving Christmas spirit… I got it! Every life is a library, I tell my kids, full of tales of wonder, mystery, loss, victories, creation and destruction. The only way we can know the stories is if they are either shared with us, or we live out a part of them. Since most of us rarely get a sneak peek ‘behind the lines’ written by famous esteemed people, except through their books, magazine articles or on-camera interviews, all three are excellent ways to learn from their successes, and mistakes, and hopefully improve our own little corner of the stage as a result. 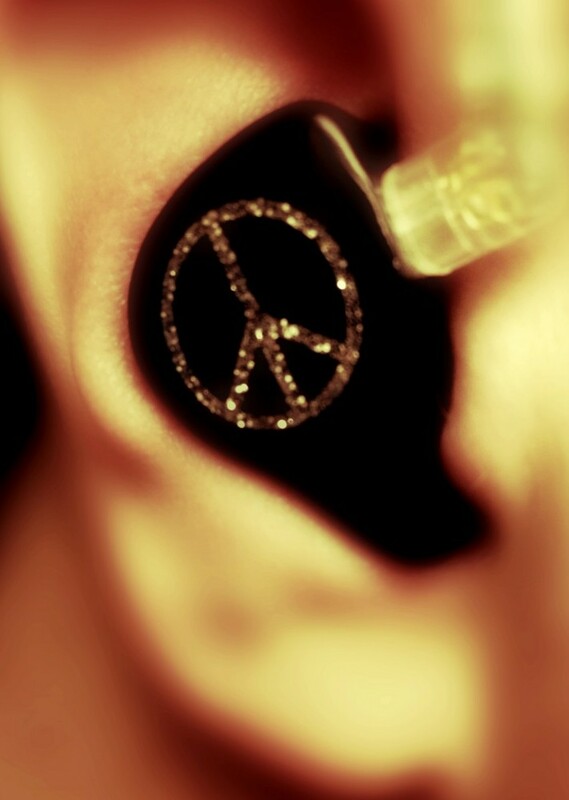 Protect your hearing. I’ve said that countless times to my son, who took up drums so early he was not yet out of diapers. Thankfully, from that very first time at the skins, he was wearing drum cans, and I’ve never let him do otherwise. And, yes, I model doing the same. Phil finally, very late, joined in on the ‘in-ear monitors’ game. Now he swears by ’em, but for years he continued with the old way: playing drums with no ear protection AND have a monitor screaming LOUDLY his bandmate’s parts so they could lock together. I’ve done it too. I’ve also heard sound engineers complain time and again about the musician monitors on stage being so loud they can almost turn the F.O.H. speakers off and not lose anything! That’s some serious dB levels, people. And that… is terrible on the ears. If you haven’t switched yet, definitely do so. You’ll thank me later, tho’ I’m sure Phil would be quick to point out that it’s also crucial to have someone engineering the monitor volumes that you can trust. He had a single burst of loud, piercing volume once by a green rookie that he still thinks has something to do with his one ear being 50% deaf now. Doctors disagree. He doesn’t believe ’em, and I know why. Learn to say “No”. A lesson we must all learn in life. For some, though, it comes late, and at a painful cost. As Phil describes in his book the offers that were presented to him, I can totally understand why he didn’t say ‘no’. Imagine your musical heroes all lining up to want to work with you. Why, it’s like your greatest fantasies come to life! And when you know that the amount of wealth you’ll accrue for you family by taking on these prestigious responsibilities will be, um, … well, quite vast, then it would be hard indeed to turn down such overtures. But what Phil gives us is a rare insight into the worth of accomplishments and successes when viewed in the cold pallor of regret. It wasn’t worth it. To miss the important stepping-stone moments in your kids’ lives… because of an itinerary so full that it just leaves no wiggle room at all for loved ones? Not worth the eventual cost. It wasn’t that any one of his obligations was so wrong; more that he just chucked balance out the window because he didn’t say ‘no’ to perfectly reasonable and desirable things that were handed to him on a silver platter. Kind of reminds me of Mr. Creosote in “The Life of Brian”. Just that ooooooone last, little “wafer-thin mint”… caused a whole lotta damage. And no pail is gonna pick up all those pieces! Unfortunately, in order to eke the most we can out of this incredible life we’re given, we need to be vigilant about guarding it from the effects of over-exertion and simple time. Phil took after his dad, he says, in that if something appeared to be wrong with his health, but wasn’t that bad, he’d just ignore it… It’s bound to just go away eventually. But sometimes that eventuality does not coalesce. On his last Genesis tour, in 2007, Phil suddenly found he could not hold his drumsticks. Something was wrong. Ignoring it didn’t help. He finally was forced to go in for treatment. What they discovered was that his 50+ years of drumming had taken a high toll on his body, and at the moment it was most severely being manifest because around the upper spine vertebrae, the calcium had been basically demolished and the bones were severely worn away. The prognosis: immediate surgery or soon he’d be dealing with paralysis in a wheelchair. The younger we are, the more impervious we feel to pain, decline, injury, deterioration. I know a 20-something friend of our daughters who, for example, just ran a FULL marathon… without training for it… for the first time. Um… I like to run. And I want to continue to run. No matter how old I get. But this one thing I know… unless you want your body to revolt, you’ve gotta train correctly for such taxing endeavors in order to keep things strong for later years. So the reminder to us is clear: check your health. Every year. Make “A Visit to the Doctor” an annual event. Because just ‘cuz we don’t see it doesn’t mean there’s not a “Lurker” in the bodies we are so demanding of. We ignore what’s going on inside to our own peril. That the Genesis song “Abacab” ever became a successful single on the radio is still an astounding bit of luck to me. The song’s not bad, mind you; it’s another stellar piece of push-the-boundaries artistry by the band. The reason I still shake my head in disbelief is because 1) the song clocks in at 6:57 minutes total (very un-radio friendly! 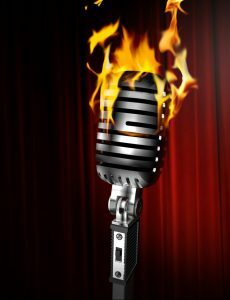 ), and 2) the chorus has absolutely no meaning to most people who aren’t songwriters! Do you know what ABACAB refers to? It’s the song arrangement; the form of the song, broken down into the constituent parts and laid out in the order they perform them in. “A” is the verse. “B” is the chorus. “C” is chorus 2. When you’re trying to figure out which order works best you can just write these letters as shorthand to try. One thing was clear early on regarding Phil and the band: they worked hard at what they created and studied hard to not only perform well, but keep improving. Fleshing out the order of the song they were writing is just one example. Here’s another: almost every night or day after a concert, Phil would listen to at least some of the concert recordings taken at the sound board. Year after year, tour after tour, even at the height of their success around the Invisible Touch album, Phil was still studying and committed to improving his craft, and the skill and understanding of those around him. Now, I’ve known a lot of musicians in my career. I can count on one hand (two, if I stretch it) the people who, to my knowledge, ever did this more than a couple times. Most of the time, once you’ve kicked off the tour and have a few venues under your belt, it’s time to glide, baby – just let it ride… go out do the show and collect the cash, then move on to the next jackpot, OH, I mean, concert. Yet another reason why I’ve respected Phil’s career all these years, tho’ I only learned through his book the lengths he went to make sure he delivered the goods consistently. Every time. Bottom line: ya wanna be good? Work for it. And study it. Hard. More than any other regret, time not spent with his kids weighs heavy on his mind. If you were around for the 80s at all, you know that you couldn’t escape Phil – he was everywhere: films, bands, albums, soundtracks, cameos, concerts… LIVE AID, for heaven’s sake! And, of course, his songs were ongoingly the backing music for people’s lives around the world; to some degree, they still are today. But all that accomplishment took time – lots of time. And, unfortunately, we only have 24 hours in our days. A guy’s gotta sleep sometime, even if it’s just for a few hours. Add to that the geographical challenge of his kids for some years living thousands of miles away from him with their mother in another country and you can see why it’s a period of time lost that he wishes he could regain. One of his career’s worst nightmares that he’ll probably never shake was due to heat. Extreme heat. And the responsibility of his supersonic speedy race to play live in both Europe and America, the same day, for the Live Aid telecasts. He was facing a whirlwind tour day in all senses of the word except one: when he was onstage for the European concert set, there was definitely no wind. Of any kind. And that… was the problem. It was a white, hot day. Blisteringly hot, as Phil puts it. He had already had to play a set backing Sting on drums and vocals, so he was already feeling the burn. There were no fans on stage. Zilch, Null. Nada. And everybody was sweating. Phil couldn’t help but join in the pool, not cool, party. Problem was, he then had to do a short set himself, just him and a piano. His temp was up, he was trying to not looked soaked, since they were all baking, and his hands were also sweaty to the point of it being ridiculous. Which is why he hit a clanger note in the middle of “Against All Odds” that soon became the ‘clam heard ’round the world’. Not a great way to start a veeeeeeeery loooooooong day. But soon enough he was rushed off so he could get to the airport in time to be flown over the Atlantic to the American concert in a Concorde jet. And then more interesting madness ensued, having to do with Led Zeppelin. But I’ll let you read the book to discover that little treat. This one’s a simple, yet all to common trap: if you’re married, don’t allow yourself to be alone with an old flame you really loved years ago. What a great read! Many thanks to Mr. Collins for really rather candid (British understatement, that) and letting us understand what went into so many things that we only heard about in a cursory (and many times WRONG) delivery, through a fan mag, or newspaper, or a VH1 video. 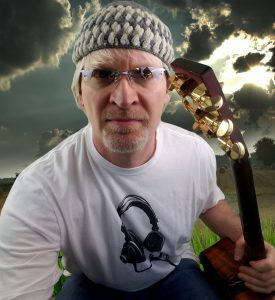 Regardless of scuttlebutt, Phil, your legacy will be timeless meaningful songs and, yes, being a family man too, despite shortcomings and challenges. Your heart is evident in your lyrics. Keep up the classic work, please! If you’ve never read a musician’s autobiography, I heartily entreat you to do so. I’ve ingested about 20 to 30 now and I’ve learned so much from each one. Especially concerning what NOT to do. In fact, you’ll be hearing more from chapters in those other books about other musicians’ lives in the future too. But Phil’s “Not Dead Yet” is, without question, a great way to start! Agree? Disagree? Got insights to add? Lemme know if the comments. As always, thanks for putting down your music gear long enough to drop by the site. Always a pleasure to have you. Exactly. Ileana. I mostly read autobiographies because I want to hear how the actual person describes their life, not someone who was on “the outside”. You’ll have to show me a picture of your dad. That’s cool that you lived with your own personal Phil Collins! 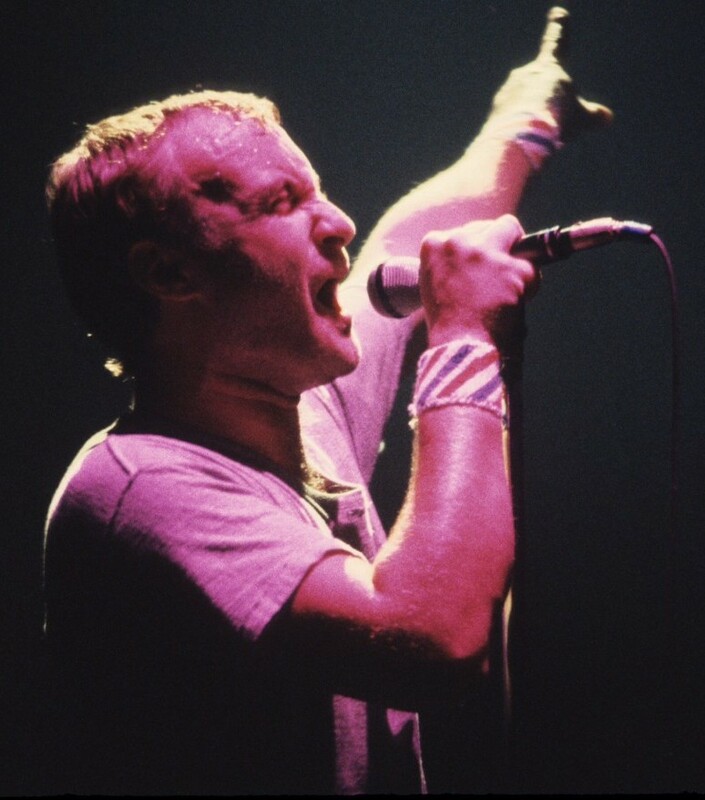 Phil Collins reminds me so much of my father, the way he looks and the way he sings… my dad was just like him. That’s why i have a certain love for mr. Collins. Is nice to see there’s a human being with feelings behind a legend. We get used to what’s said on tv and all the gossips that we forget that’s a person who feels, makes mistakes and sweats when there no fan LOL. And is even nicer to read an autobiography of an artist, to know first hand what was on his mind. This is a great post. 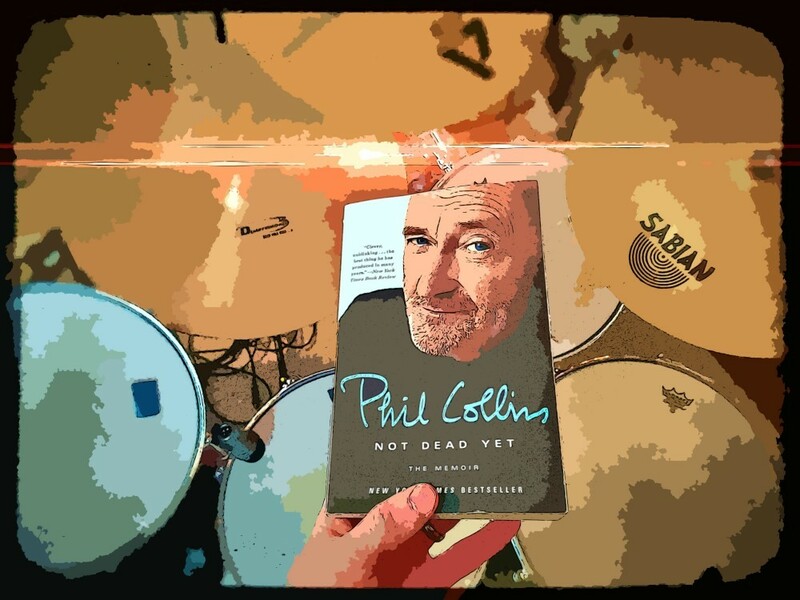 7 things to learn from Phil Collins, i mean, where else could you learn something amazing of the music industry but from the artist himself?